System.Threading.Timer – Simplest multithreaded timer. 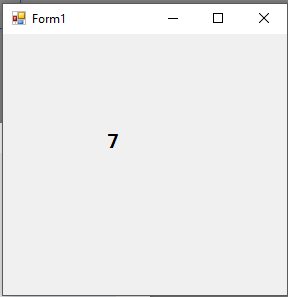 Contains two methods and one constructor. timer.Dispose(); // This both stops the timer and cleans up. Console.WriteLine (data); // Writes "multithread executed..."
Note : Will post a separate section for disposing multithreaded timers. Change – This method can be called when you would like change the timer interval. Timeout.Infinite – If you want to fire just once. Specify this in the last argument of the constructor. System.Timers – Another timer class provided by .NET Framework. It wraps the System.Threading.Timer. thread each time it is called. Elapsed – this event always fires on timeâregardless of whether the previous Elapsed event finished executing. Because of this, callbacks or event handlers must be thread-safe. interop – when ever you need greater accuracy use this and call the Windows multimedia timer. This has accuracy down to 1 ms and it is defined in winmm.dll. timeSetEvent – call this after timeBeginPeriod to start a multimedia timer. timeEndPeriod – Call this to inform the OS that you no longer need high timing accuracy. You can find complete examples on the Internet that use the multimedia timer by searching for the keywords dllimport winmm.dll timesetevent. 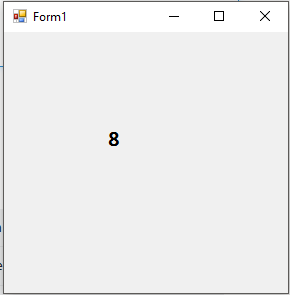 Below is an example of creating a new instance of a Timer. All actions performed in a timer are handled in the "Tick" event. myTimer.Tick += myTimer_Tick; //assign the event handler named "myTimer_Tick"
// Perform your actions here. Example: Using a Timer to perform a simple countdown. //Set the event handler for the timer, named "myTimer_Tick"
//perform these actions at the interval set in the properties. myTimer.Start() – Starts the timer. myTimer.Stop() – Stops the timer. If using Visual Studio, Timers can be added as a control directly to your form from the toolbox.